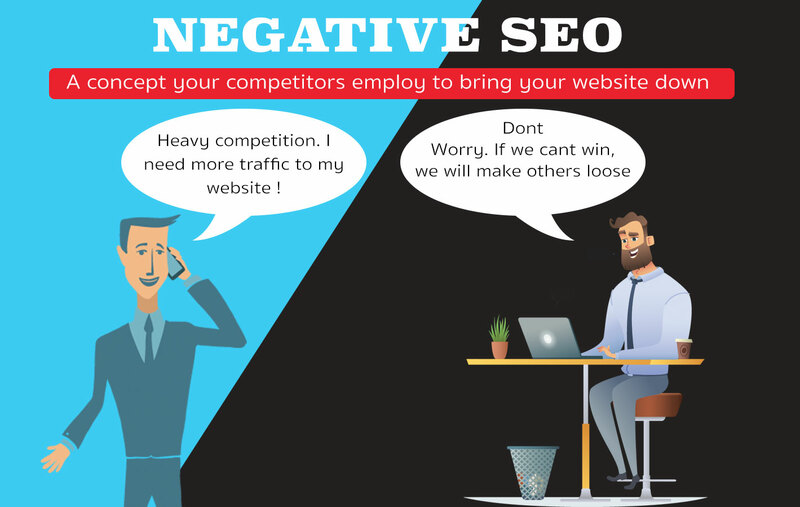 What is negative SEO ? Is there a such thing exists ? Yes. There is. As a matter of fact, there are quite a few techniques that exist to discredit or debase a website and its rank. We will discuss briefly about each in this post. We highly recommend not using these against other sites. Tools like Google's Search Console and SEMRush will give you enough data about backlinks. Check in every week at least to track who is linking to your website. When a backlink website cease to exist, it becomes a broken backlink. Overcome this issue by posting new content more frequently, by redesigning your website or utilizing 301 redirects. This will increase the search engine crawl rate and by which the broken links are removed much faster. A simple one line of code will make your site disappear in search results. For this technique to work, one will need access to the site or had access previously. Have your web admin double check the Robot.txt file, remove any un-used FTP links before launching the website and bolster the site security to restrict any backdoors. When your original content is replicated in bunch of websites, you loose credibility online to a point where you wont rank anymore. Either contact those websites or double your SEO efforts to overcome this issue. A quality website's content is almost always ranked since its deemed as original content. DDOS is employed by hackers to take a site down. Why they do it? The reasons are almost endless. Websites are also ranked based on their uptime (a term describes a website availability in percentage). If your site goes down for a day, it is a scar.. two days, it is a wound... a week, it is a death sentence. There are online tools such as SEMRush, Pingdom etc that check the availability of website constantly and notify you if its down. Well, when you get a bad review, always respond to it in a calm and professional fashion. More over, if you think the review is hateful, you can always flag the review and contact Google / Yelp / Facebook for its removal. SEO Companies are prone to this. Search engines are getting smarter day by day. If a site is over optimized or designed for a search engine, it will stop performing. "Design the site for user. Not for search engines". There is a sweet point where the optimization should stop. We recently started a drywall and painting company and came across this article. I would have never of thought to respond to all reviews even when or if they are nasty but it makes perfect sense. To be able to flag them is really awesome. Thanks a ton! Congratulations on your new business. We are glad that you find the article helpful. Cheers!